The first big match this year in the Southern Province will be the Second Ruhunu Maya encounter between Rahula College Matara and Dharmapala College Pannipitiya which will take place at the De Soyza Stadium Moratuwa on February 22 and 23. Dharmapala College will host this year’s encounter which is the second encounter in the series. Rahula hosted the first encounter at the Uyanwatta Stadium Matara last April and the game ended in a draw. Although Dharmapala plays in Division One and Rahula in Division Two it will be difficult to predict a result as both teams are almost equally balanced with Rahula having a wafer thin edge and much will depend on how the players react to the pressure of the big game. The inaugural 50 over game will be played on March 9 at the Uyanwatta Stadium in Matara and will be hosted by Rahula College. The Dharmapala team is led by Sahan Chamikara, a left hand batsman and left arm fast bowler. He was a member of the Western Province Under 15 team. 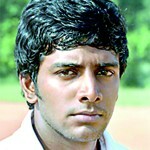 Right hand batsman Ashan Jayasanka is his deputy. Rahula has registered convincing wins against St. Xaviers Marawila, Devapathiraja, St. Thomas’ Kotte and St. Mary’s Mathugama. Y. V. Nadun Tharanga leads Rahula College. A right hand batsman of repute Nadun opens the bowling for Rahula. Nadun has been a member of the first XI since 2008. 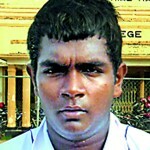 Shehan Kahandugoda is the deputy skipper. Dharmapala College (from): Sahan Chamikara (Capt), Ashan Jayanaska (Vice Capt), Vimukthi Raddalla, Kushan Jayalath, Prashan Rathnayake, Himasha Liyanage, Asanka Sameera, Tharaka Hondamunige, Supun Chathura, Pasindu Keshan, Harsha Gallage, G. Tharindu Danushka, Chameen Himalka, Tharindu Maduwantha, Jayampathi Bandara, Bimantha Visu, Gihan Madushanka, Susila Gunawardena. Rahula College (from): Y.V. Nadun Tharanga (Capt), Shehan Kahandugoda (Vice Capt), Harsha Rajapaksha, Piushan Kulathunga, Lasindu Nimsara, Tharindu Narasinghe,Kalana Hasanga, Mayura Galappaththi, Harindu Jayasinghe, Sahan Hendawitharana, Nimesh Hettiarachchi, Hashan de Silva, Thilina Manage, Chamika Nuwan, Thamindu Palliyaguru.